Maybe you were expecting, when I already came to a decision like that, I will give you a salty recipe right away. Well, you are wrong. 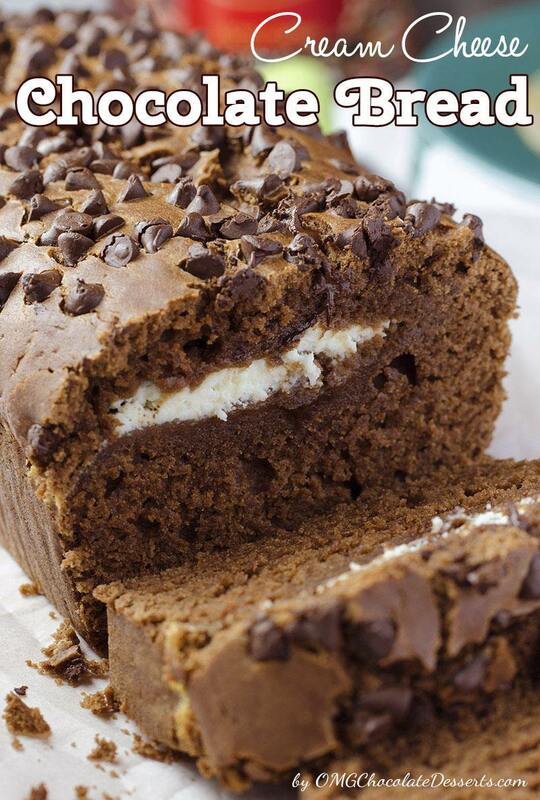 Just to counter my husband, today we will have another sweet chocolaty recipe – Cream Cheese Chocolate Bread. I know he does not really love sweet breads, so this sweet dessert was only for my breakfast. And what should you do to get this sweet thing? Nothing complicated. Just make a mix for bread with a little cocoa and sour cream and put it in half a loaf pan. Over that, add a row of sweet cream cheese mix and the rest pour over with another layer of dough for bread. Of course, over all of that, you should put a load of chocolate chips and you are ready for baking. 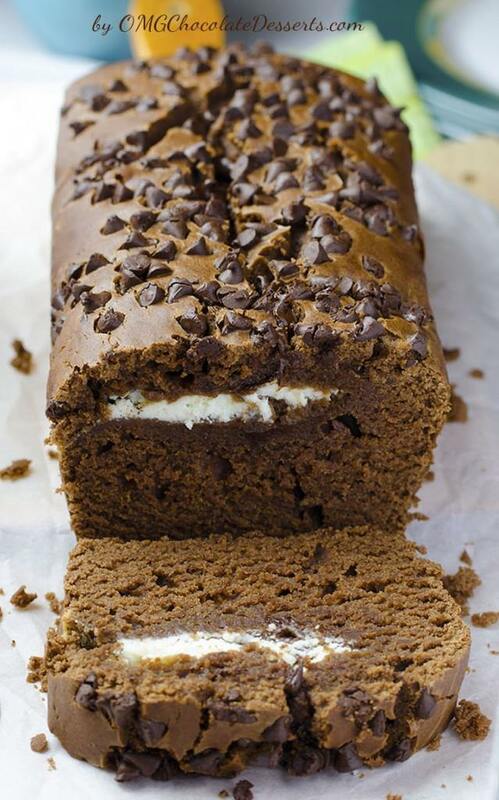 Voilaaaa, the perfect breakfast for those who love chocolate and bread – Cream Cheese Chocolate Bread ! And not only for breakfast. I had a few pieces after lunch, a little more before going to sleep, and the next day I had only memories and a few photos of my chocolate bread. Enjoy and, as commanded by my husband, see you soon in some savory adventure! This bread looks DANGEROUS!! I love the idea of chocolate bread and am in love with the cream cheese swirl….thanks so much for sharing at Saturday Night Fever! HONESTLY I HAVEN’T MADE THIS YET BUT IT LOOKS SOOOOOOO GOOD I’M GOING TO MAKE IT PROBABLY TONIGHT. i am going to try this one. Looks delicious. Thanks for a great recipe. Yum! I made this today, and it was sooo good! I ran out of unsweetened coco so I had to add some Nestlé Quick to make the 1/3 cup. I also added some cinnamon. In the cream cheese mixture I used honey and honey crystals instead of sugar. Thanks for sharing it was really yummy! I just made this bread and it is so yummy! I was just wondering where you got this recipe from or if you came up with it. Thanks! Thanks Elizabeth, I combined a few other recipes and that is how this bread came out. We give it a prefect 10. Please try this.